Summit Racing now carries Rust Bullet Concrete Floor Coating. The coating allows for easy cleanup of common garage chemicals like oil and grease, and creates a protective shield to guard the concrete from impacts, abrasives, and Mother Nature. Rust Bullet Concrete Floor Coating works well in home/commercial garages and basements, plus it’s UV-resistant for patios, sidewalks, and other exterior concrete surfaces. Rust Bullet Concrete Floor Coating works on both new and old concrete, new concrete should be cured for at least 30 days prior to application. Surfaces with existing sealants or paint should be stripped, sanded or ground. The concrete should be cleaned and free of any contaminants like dirt, dust, and grease, and then be allowed to dry thoroughly. Rust Bullet Concrete Floor Coating can be applied with a brush, roller, or spray gun. A single gallon of Rust Bullet Concrete Floor Coating will cover 300-400 square feet. Rust Bullet recommends at least two coats. Depending on the porosity of the substrate and application method, additional coats may be required. Allow 4-6 hours dry time between coats; coating is fully cured in about three days. 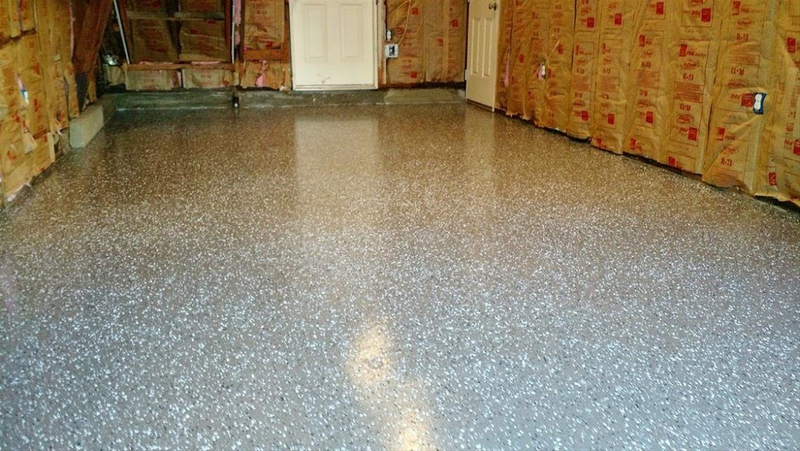 For a customized, professional appearance, Rust Bullet Concrete Floor Coating can be mixed with multi-colored flakes. The coating is also compatible with non-slip additives (grit). An optional protective coat of Rust Bullet’s Clear Shot protective paint provides a glossy shine. When properly applied to level concrete, Rust Bullet warranties the surface for five years. 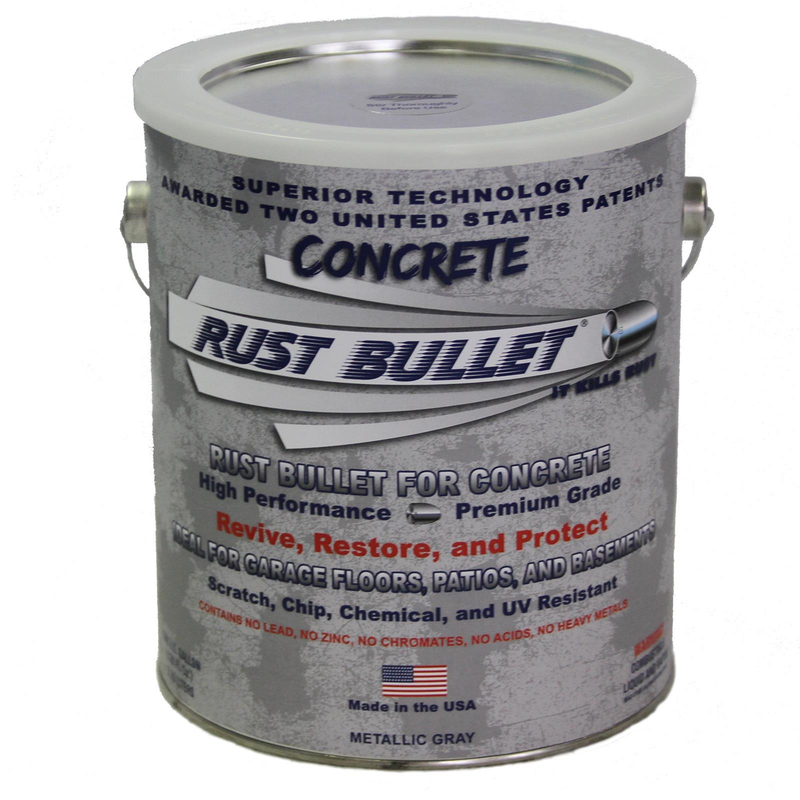 Rust Bullet Concrete Floor Coating is available in 1 quart, 1 gallon, and 5 gallon cans. A handy application guide is available at Rust Bullet’s website.